Learn which computer networking questions will help you plan your corporate IT budget. 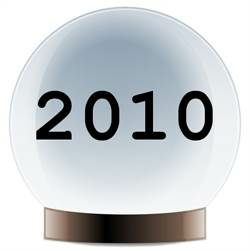 Our panel of experts reveal 2010 predictions which highlight trends to keep an eye for this year. Looking ahead, what computer networking questions should you ask in 2010? SearchNetworking.com's expert panel gives you advice on everything from the hottest IT networking job skills to the latest wireless technology problems concerning networking professionals this year. NEXT: What trends will change network fundamentals in 2010?